360° VR video and photography allows your customers to take a virtual reality tour of your business’ location or facilities without leaving the comfort of their home or office. 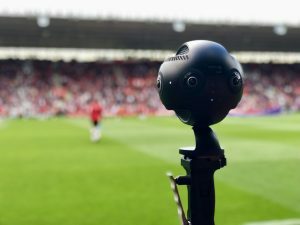 With our professional 360° cameras we can provide 8K resolution 360° video and 12K resolution 360° photos, which can be uploaded to popular services such as YouTube for viewers to watch, either on their desktop or mobile device, or with a dedicated VR viewer such as a Google Cardboard headset. Our 360° videos are compatible with popular services such as YouTube, allowing your customers to experience VR without expensive headsets and tracking equipment. 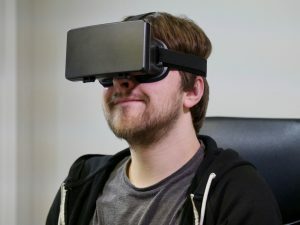 On YouTube specifically, viewers on desktops will be able to navigate the scene using their cursor, viewers on mobiles will be able to tap and drag to move the video around, or they can put their phone into an affordable Google Cardboard or equivalent headset (pictured) and view the 360° content in VR format. The benefit of working with Southpoint Films is that, in addition to having high end 360° camera equipment, we’ll work with you to make sure that your 360° content achieves your goals. Our experience in creative video production means that we’ll apply creative thinking to how 360° content can work for your business, and how your content can tell an engaging story that will keep your viewers hooked. Our professional 360° cameras can optionally capture 3D 360° video at up to 6K resolution. 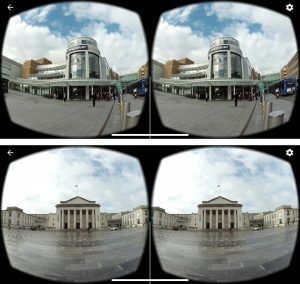 If your project is primarily going to be viewed with VR headsets, filming in a 3D stereoscopic format makes objects stand out, simulating depth in the image.